Premium customers descend upon Mountain View for our annual summit. Google Analytics team members share a glimpse into the future of Analytics, and GACPs network and share ideas. Previously what happens at the summit stays at the summit. But starting this year we decided to share the latest and greatest with our wider community. Following is round up of the cool things we're working on which we shared at the Summit. This morning, we announced the launch of Universal Analytics, which helps customers tailor Google Analytics to their needs, integrate their own datasets and ultimately get a more complete vision of the entire marketing funnel. Read more in our announcement blog post. Since April 2012, Premium customers have been using the Attribution Modeling Tool to build models that give credit to all of their digital channels, providing insight into the impact of various marketing programs as they work together to drive sales and conversions. Today, we’re beginning a gradual public rollout of the Attribution Modeling Tool. Please register for our webinar this Friday to learn more, or request early access to the whitelist. Google Analytics now allows users to import their cost data from any digital source -- such as paid search providers, display providers, affiliates, email, social and even organic traffic. This allows you to measure performance of all your digital programs side-by-side. Cost data import will be rolling out over the next month. Customer Lifetime Value is a feature being worked on for 2013, and shows the dollar amount of money that an individual customer will spend with a given business in the future. Its a very powerful feature, putting the types of analysis marketers need to drive smart decisions into their hands. Finding your most valuable customers leads to smarter marketing decisions, improving your spend allocation and customer relationship management. Recency, Frequency, and Monetary Value (RFM) are three powerful behavioral metrics that savvy marketers have been using for decades to identify exactly these customers. With these forthcoming reports, we are bringing the power of RFM to Google Analytics. Watch out for these reports in 2013. Dimension widening (a feature activated by Universal Analytics) enables you to easily add information like CRM data to your Google Analytics account. You can, for example, widen an advertising campaign by adding cost data to get a clear picture of the ROI on your marketing effectiveness. Note that custom dimensions and custom metrics are just like the default dimensions and metrics in your Analytics account, except you create and define them yourself. You can use them to collect and segment data such as demographic data, which isn’t automatically collected. It’s been a year since we launched Google Analytics Premium to better meet the needs of our enterprise accounts. With the strong demand we’ve seen for Premium in the United States, United Kingdom and Canada, we are now planning to launch in at least 8 more countries: Japan, Brazil, France, Germany, Netherlands, Italy, Spain, and Norway for 2013. With ever-expanding mobile application marketplaces and a shift in focus to mobile, measuring apps is more important now than ever. With this, we’re excited to be moving Google Analytics Mobile App Analytics out of closed and into open beta. We’ve listened to feedback from more than 5,000 mobile app developers during the closed beta, improved the product and are now making it available to all developers and marketers. We’re excited to push Analytics forward into the future with new features and reports which help marketers and businesses become more data-driven. Every year, Google Analytics Certified Partners and Premium customers descend upon Mountain View for our annual summit. 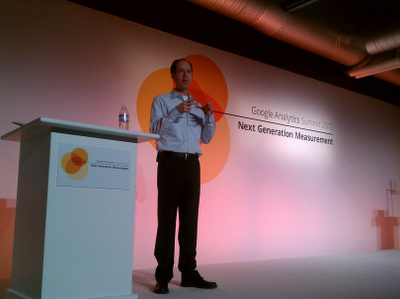 Google Analytics team members share a glimpse into the future of Analytics, and GACPs network and share ideas. Previously what happens at the summit stays at the summit. But starting this year we decided to share the latest and greatest with our wider community. Following is round up of the cool things we're working on which we shared at the Summit.